When #YesWeCode officially launched at Essence Festival last year, we hosted the festival's first-ever Tech Village and Youth Hackathon. Over those three days, we met and were inspired by thousands of people from all over the country who believed in our vision to change the face of tech in America. We're thrilled to be going back! And this time... we're getting there in style. We’re going on a road trip with Estella’s Brilliant Bus and taking 80 bright students along for the ride! We’ll be making stops in seven cities across the South to tour local cultural heritage landmarks, historical civil rights sites and historically black colleges and universities. We will also engage in various hands-on tech activities. Take a peek at the full list of activities here. During this 10-day digital freedom ride, #YesWeCode and Estella’s Brilliant Bus will combine computer programming skills with on-the-go entrepreneurship training for the students through Mobile App Development and the Basics of Tech Entrepreneurship. It'll be equal parts learning, innovation and fun! Before reaching our final destination in New Orleans, we'll make an important stop in Jackson, Mississippi. There students will take part in the TECHJXN Innovation Summit and #YesWeCode Hackathon. They’ll pitch and brainstorm ideas to create app prototypes with help from leading technologists and designers. And, the entire state of Mississippi, including the governor, will greet the bus-riders as part of their tech town hall exploring the state's innovation economy. The teams with the best ideas will have a chance to present them LIVE on the Essence Festival Main Stage! This life-changing tour will cover 7 cities in 10 days! Get Tickets to the The TECHJXN Innovation Summit on June 30 in Jackson, MS. Please note that we are selling tickets for the innovation summit event only. For details about participating in the #YesWeCode hackathon, please visit techjxn.com. If you have questions about either event, contact Rhea Williams-Bishop at rbishop@mscei.com. Support The Road to #YesWeCode road trip with Estella's Brilliant Bus here. Visit us at Essence Festival on July 3-5 in New Orleans, CA. Come stop by our booth in the New Orleans Morial Convention Center. 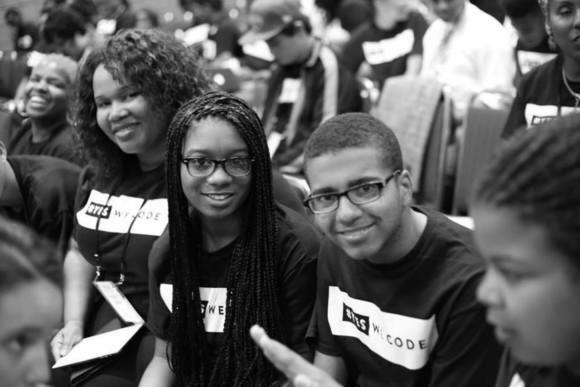 *Check out some #YesWeCode photos from last year's Essence Festival on Facebook.